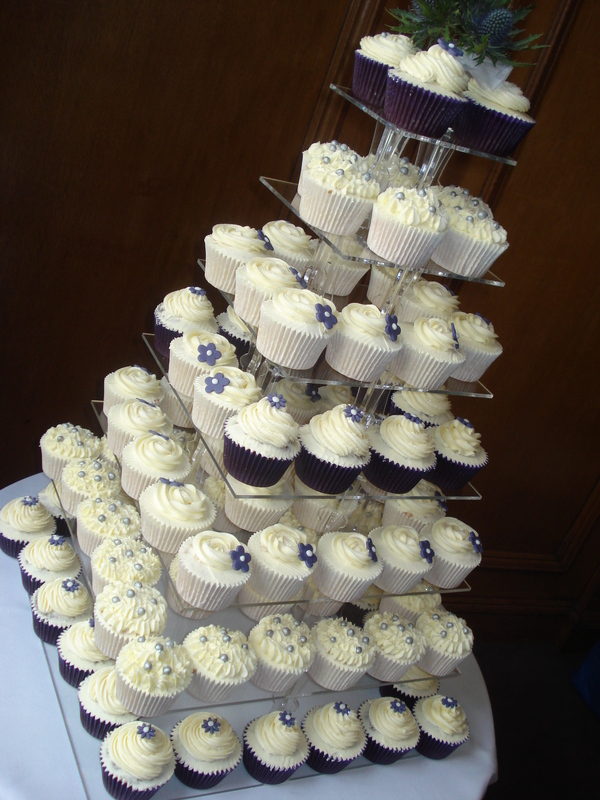 If you’re planning a wedding, Lizzie’s Tea Party can supply a beautiful tower of cupcakes or wedding cake tailor-made to suit your requirements and/or wedding theme. 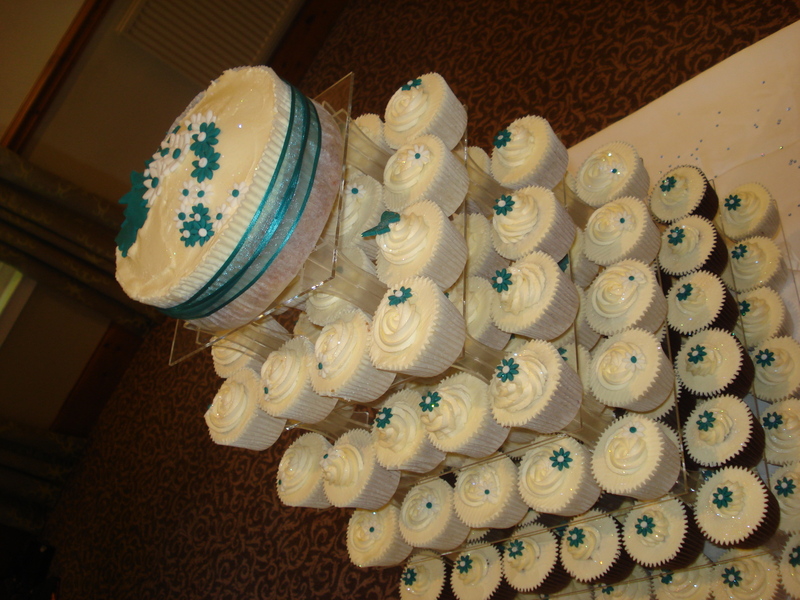 We can provide large cakes, tiered cakes, big cupcakes and mini mouthful cupcakes in any or all of our flavours, ensuring that there’s something to please every guest. 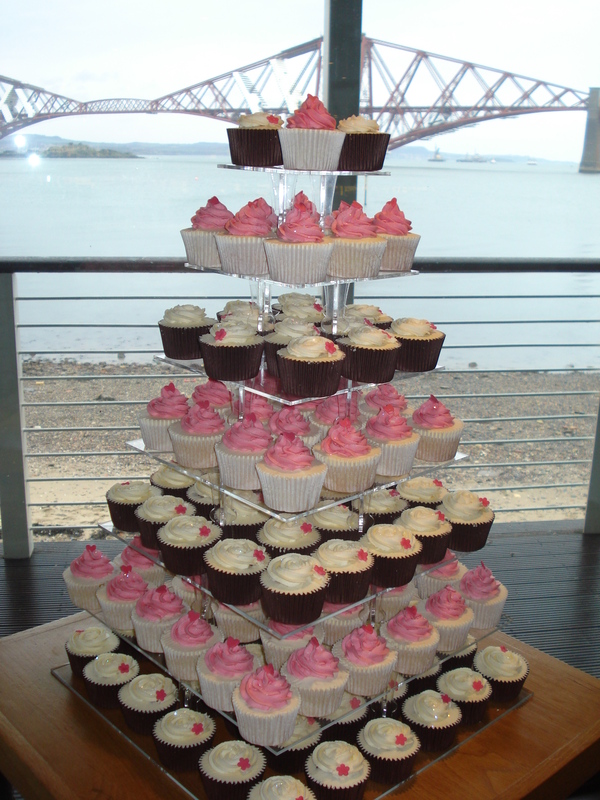 We also offer cake stand hire and can deliver (subject to location of your venue) and set up your cakes at your wedding, so you don’t have to worry about that. 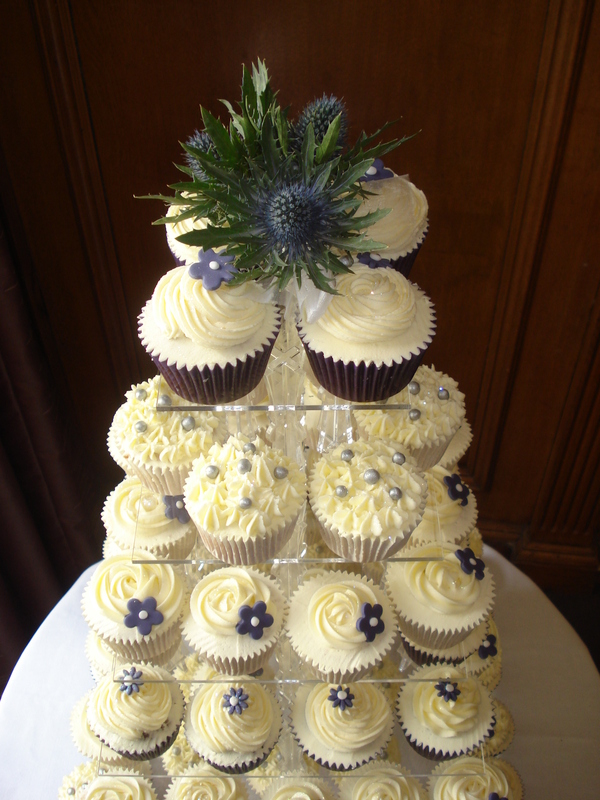 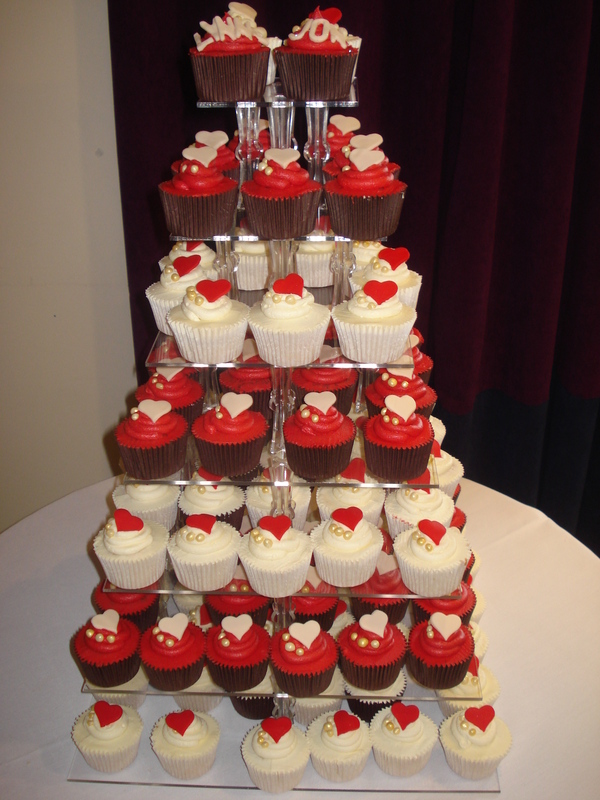 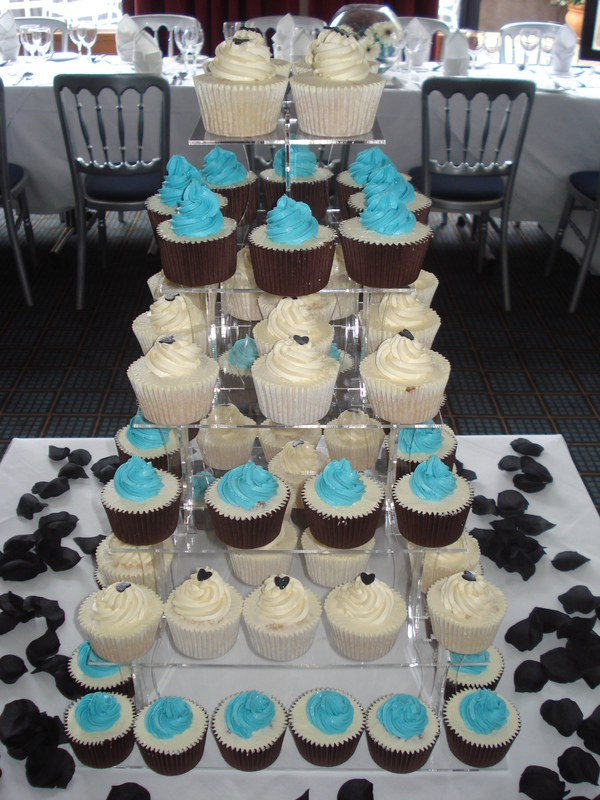 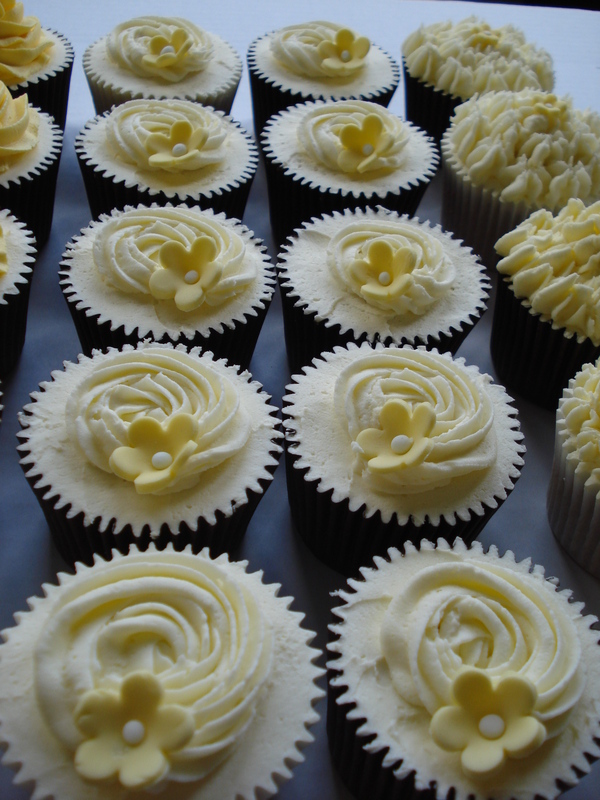 Contact Lizzie by email or by phone on 07977146035 to discuss your wedding cupcake requirements. 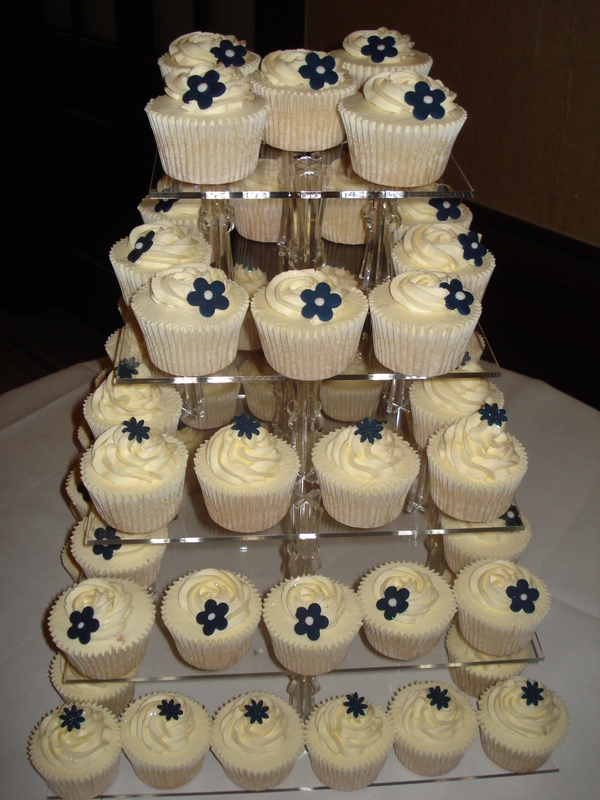 Lizzie, thanks so much for making the cup cakes for my wedding reception on 10/10/09. 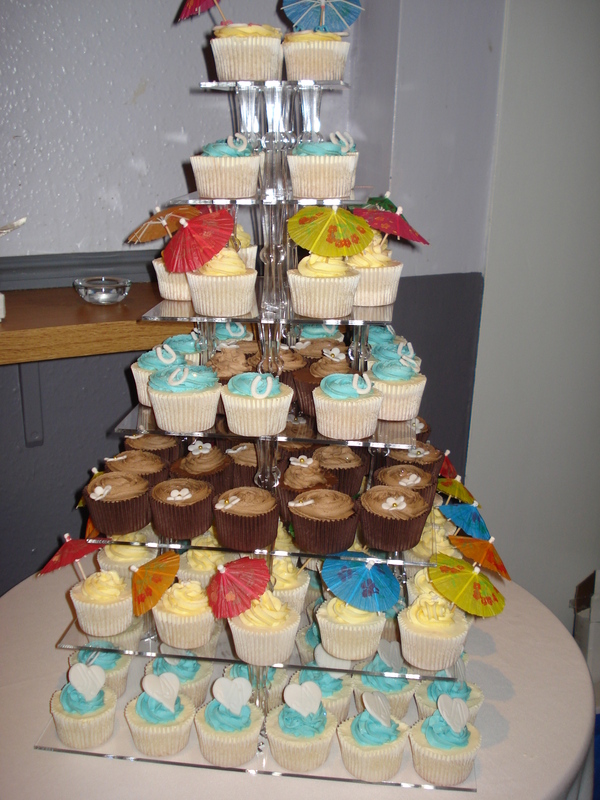 All my guests were singing your praises at how great the cakes looked, and tasted.